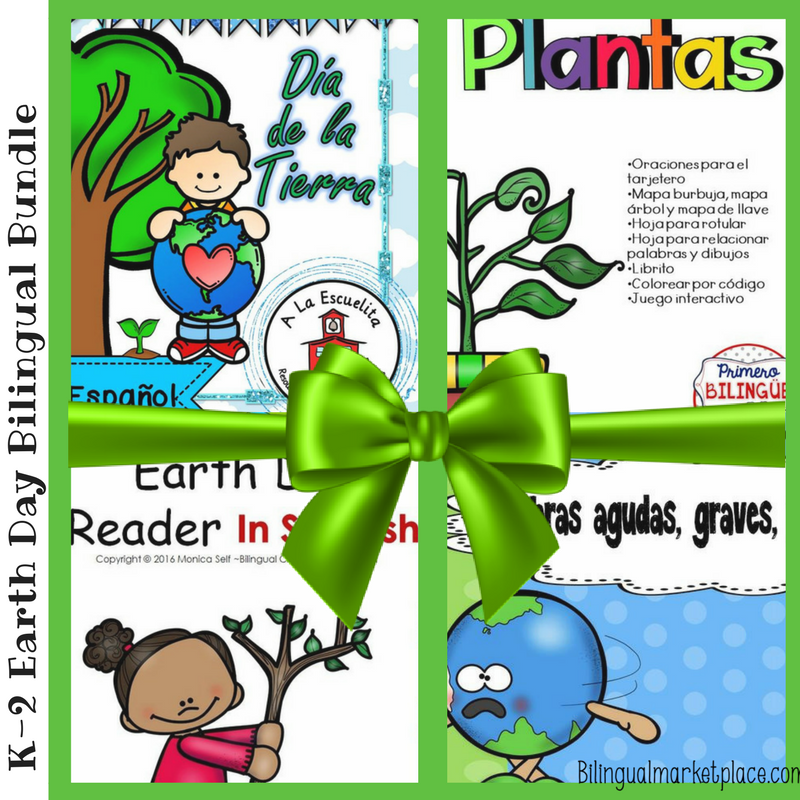 Earth Day resources and Giveaway! Time for a giveaway, this time we want to showcase some of our wonderful Earth Day activities. There is something for everyone. 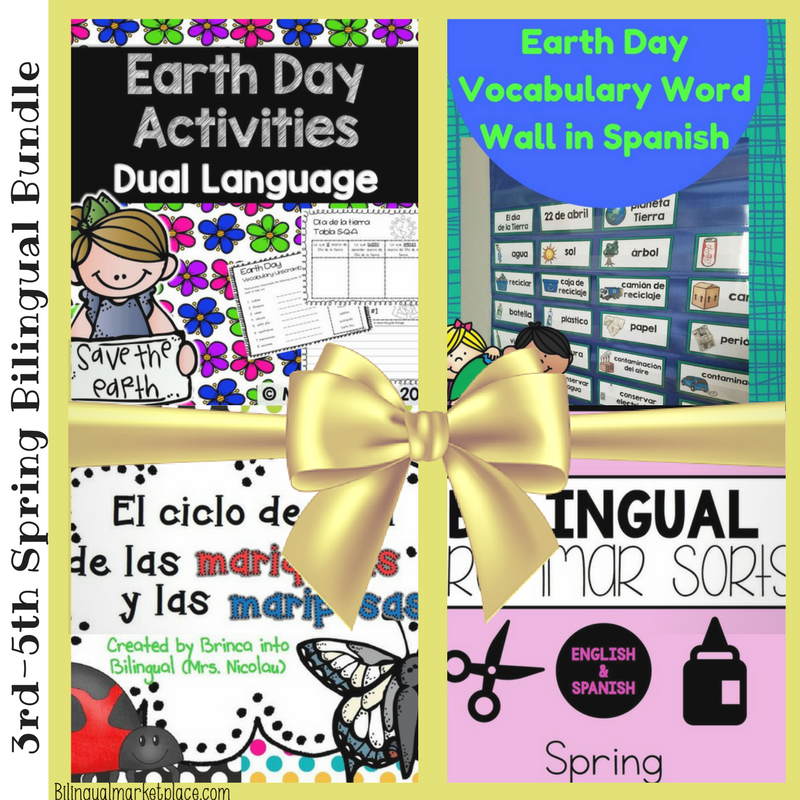 You can choose between a wonderful Canticos book, a K-2nd or 3rd-5th Bilingual Activity Bundle or a personalized birthday calendar for your class. Check out the prizes and enter the giveaway below! Activity description: A nice way to display your students' birthdays. 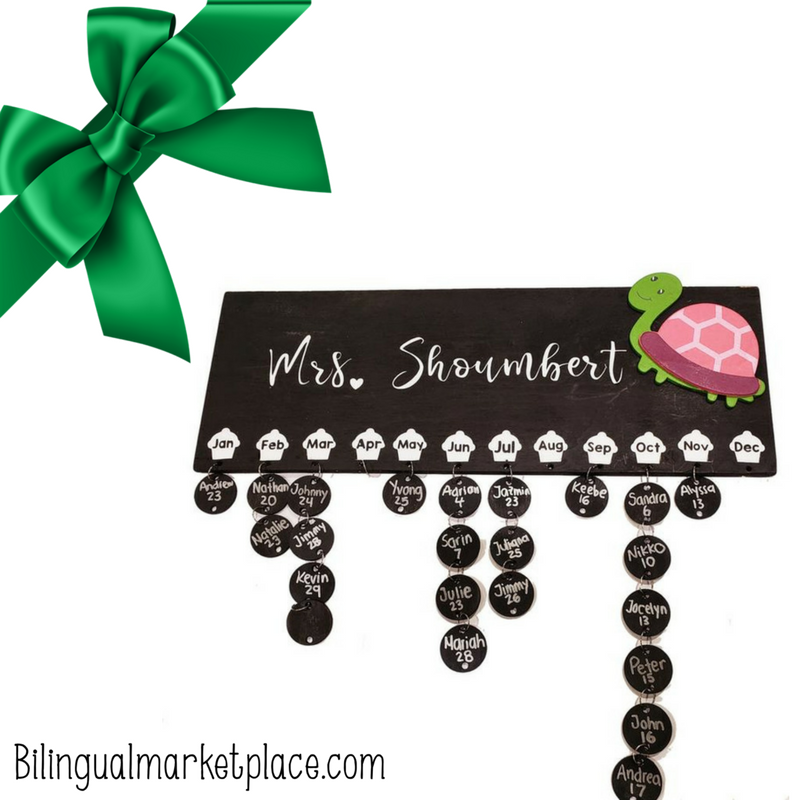 Choose from square or star tags, English or Spanish. If you win, we will send you a form to personalized this item even more. 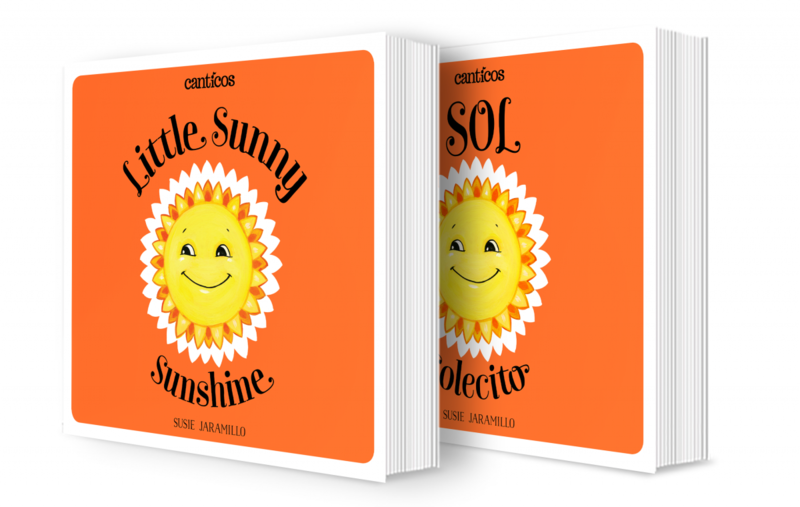 We love bilingual books, but we love them even more when their mission is to teach about some of the most beloved nursery rhymes and songs form all over the Spanish-speaking world. Canticos is also teaming up with Nickelodeon and finding new and creative ways to foster multilingual learning.